Fabrizio Barchi is the founder and director of the EOS female choir. He debuted as a choir director in 1979 and in those years he completed his musical studies at the Pontifical Institute of Sacred Music in Rome. He founded and directs multiple choirs including the Musicanova choir, the Primavera children’s choir, the EOS female choir, the Iride youth choir and the Primo Levi and Enriques high school choirs. In conducting those groups he has obtained numerous prizes in regional, national and international choral competitions. He was a music teacher from 1980 to 1993, and has been the director of Choral Conducting at the Conservatorio Lorenzo Perosi of Campobasso since 1993. He is frequently invited to direct courses for youth choirs, as well as vocal and choral schools on behalf of the regional choral association the Feniarco (National Choirs Federation), the education authorities and several universities. He has worked as choir conductor on the preparation of operas and movie soundtrack productions with composers Ennio Morricone and Marco Frisina. As deputy director of the Cappella Musicale Lateranense, he directed the lead choir for the Jubilee of young people of Rome in the year 2000 on behalf of the Music Committee set up by the Ministry of Education and the board of the National Academy of Santa Cecilia. 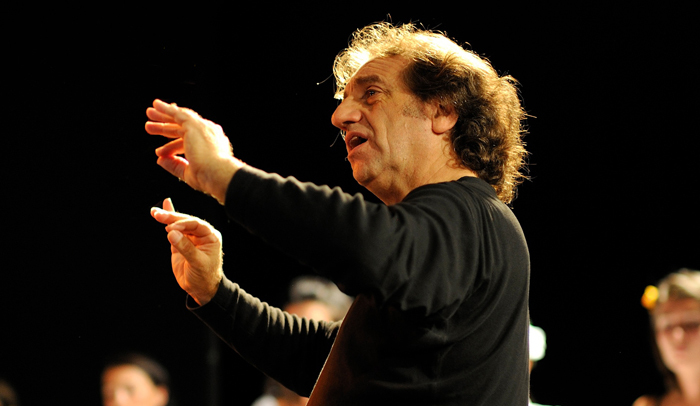 He co-operate with Mario Madonna in conducting EOS female choir.